Henry Herbert Ashdown was born in the village of Stansted, near Wrotham, towards the end of 1894, the eldest son of Henry James Ashdown, a farm labourer, and his wife, Frances Ellen Janes. By 1901, Herbert (or ‘Herb’ as he was sometimes known) lived with his family at Old Soar Farm Cottages in Plaxtol, and it seems probable he attended the local village school. Between 1901 and 1910 the Ashdown family moved from Plaxtol to Wrotham, and then to Platt by the start of 1911, where they took up residence at 7 Whatcote Cottages. Over a 20-year period, Henry and Frances produced an astonishing 17 children, though tragically eight of those died in infancy. Like the majority of other local boys, Herbert found work labouring on a farm, and at the time war broke out in 1914, was employed as a dairyman. In his non-working life, he gained a reputation as a talented singer and won several local singing competitions. Like many others keen to ‘do their bit’, Herbert was among the very first from Platt to enlist and visited the recruiting office in Tonbridge on 2 September 1914, where he signed up for three-years military service. In a medical inspection carried out the same day he was recorded as being 5’ 5” tall with a 32” chest, sallow complexion, grey eyes and black hair. He was passed fit for active duty and immediately posted to ‘A’ Company of the 6th (Service) Battalion, The Queen’s Own (Royal West Kent Regiment.) The battalion had been raised in Maidstone during mid-August and formed part of the 37th Brigade of the 12th (Eastern) Division in Kitchener’s First New Army. At the time Herbert enlisted the battalion was camped in Purfleet, and on arrival, he would have spent the remainder of the autumn training there before moving to Sandling Junction in early December, and then onwards to billets at Hythe at the end of the year. After a further four months training in Aldershot, on 1 June 1915 the battalion entrained for Folkestone and sailed for Boulogne on board the SS Princess Victoria. Also on the ship were two other local men from the parish serving with the same battalion named Richard Andrews and Peter Piper, with the former in Herbert’s company. On arrival in France, and following a two-week stint training at Méteren, the battalion made their way to the front line and took over a position at Ploegsteert (Plugstreet) Wood from the 6th Buffs (East Kent Regiment.) During the summer of 1915 Ploegsteert was a relatively quiet quarter, but was not without its hazards: for example, in July there were 50 battalion casualties recorded in the War Diary (7 killed, 43 wounded.) Enemy snipers were active on most days, and the Diary also mentions several deadly shelling incidents. In this period Herbert would have been rotating between the front line and positions in the rear on a six-days on, six days off, basis. In mid-September, the battalion left Ploegsteert for an area southeast of Béthune where the First Army attacked Loos on the 25th. In the battle, which lasted several weeks, Herbert would see his first significant action of the war. On 6 October, Herbert’s company was based near Cité St. Elie in Gun Trench which was to the immediate right of the Germans, who had lodged themselves in the centre of the line between ‘A’ & ‘C’ Coys. Two days later the battalion was ordered to attack and ‘remove’ the enemy from this position. In the main thrust of the assault, bombing parties worked their way inwards from the flanks while Herbert’s platoon, under Captain Margett, made their advance over open ground and tasked with attacking from the front. In what would have been an undoubtedly harrowing experience for the 20-year-old, Herbert would have witnessed his comrades being mown down around him by enemy machine-gun fire almost immediately after going over the top. Against the odds, he escaped the bullets and was among the few survivors able to join up with the bombing parties who, up until that point, had been making satisfactory progress towards the Germans. However, unknown to the West Kents, the enemy position, far from being isolated in the centre, was connected to another trench leading up to their main front line. Due to the overwhelming numbers of German troops being sent forward down this artery to keep the British in check, the attack failed, and by the day’s end, over 100 casualties were suffered by the battalion, with the majority of these in Herbert’s company. Miraculously Herbert made it through his first battle; however, he was not yet out of danger, and following several days in the reserve, returned to the front line in the early hours of 14 October. At some point during the day, he was shot in his right leg and was stretchered away to No. 37 Field Ambulance, and then No. 33 Casualty Clearing Station, before being transferred to a Base Depot hospital in Etaples. His injuries don’t appear to have been especially, and he rejoined his unit in the field just over one month later on 24 November. In March 1916 Herbert would have been involved in the Battle of the Craters near Vermelles and at the end of June moved south with his unit to the Somme, where the battalion fought in the ill-fated offensive at Ovillers on 3 July. In the battle, the 37th brigade was charged with capturing two small salients in the German front line, which ran almost due north and south. Herbert’s company, with ‘C’ company advancing on their left, formed part of the first wave of the attack, which began at 3:15 am. At zero hour the British artillery barrage lifted and the company, who had already left their trenches ten minutes previously and crawled across No Man’s Land, leapt up and made their advance on the German front line. Almost immediately they were met by heavy enfilade machine-gun fire, but maintained a steady pace, and soon found themselves in enemy trenches, where they successfully fought their way along the German line to establish a reasonably secure position from which they could provide covering fire for the second wave of the attack, which had begun pushing forward towards the second objective. Unfortunately for the battalion, the second wave failed, and casualties mounted up as withering machine gun fire swept across the attacking troops. By then the West Kents were too few to have any impact on the heavily defended trench, and the battalion became engaged in a desperate fight to hold onto any gains made. The situation deteriorated further when both flanks on Herbert’s position fell apart, cutting off the survivors and allowing the Germans to pick them off one at a time. Men from the battalion performed many acts of heroism that day, and the German trench was held for several hours before they were forced to make a full withdrawal later in the day. Of 617 officers and men who had gone into action, 375 became casualties, including Richard Andrews and Peter Piper, who were both killed. Battered and bruised, and despite being under-strength, the battalion moved back up into the front trenches between Ovillers and Pozières on the 26th, and saw further fighting along this front during the rest of the summer, although not on the same scale as the attack in early July. Progress was slower than hoped in this opening phase of the Somme campaign, and plans (which included Herbert’s unit) were being made to redress the situation. On 1 October the battalion took over the reserve lines West of Gueudecourt, eventually moving up into the firing line on the northern edge of the town during the evening of the 6th, where they prepared to go into battle the following day. Before zero hour, which was scheduled for 1:45 pm, the battalion was heavily shelled while assembling in the forward trenches and suffered a number of casualties. Those who eventually climbed out over the parapets that afternoon did not fare much better and met with a hailstorm of machine-gun and rifle fire. Losses were heavy, but Herbert survived, and as the Somme offensive drew to a temporary halt at the end the following month, he would have been acutely aware that he was part a diminishing minority from the original battalion who had arrived in France over a year earlier. At the end of 1916, Herbert had become batman to an officer, although it is not known how long this arrangement continued. In mid-January 1917 the West Kents found themselves based in the new divisional front in the suburbs of Arras that extended southwards from the Scarpe on the left to the Arras-St. Quentin Road. The line ran right through the ruins of Blangy with No Man’s Land chronicled as ‘a chaotic tangle of bricks, bits of broken roofs and wire.’ Winters on the Western Front had gained a reputation for being harsh, with survival against the elements being an almost more significant challenge than the dangers of enemy action. Conditions through the winter of 1916-17 were the toughest of the war, and so it must have been some relief to the men that their accommodation was in one of the numerous caves and cellars around the city. These were not only close to the front line (meaning they could move forward swiftly without incurring any casualties) but also sheltered from the arctic conditions that continued to blast well into April. In November 1916 Douglas Haig issued instructions for several offensives set for the following spring. The first of these was at Arras which by then was familiar terrain to the West Kents, and consequently on 9 April, which was the first day of the battle, they achieved their objectives with relatively few casualties. However, during the assault, several obstacles still had to be overcome, and the non-arrival of tanks elicited a much harder fight than expected. After a week’s rest in Arras, the battalion returned to Monchy on the 25th and took up a position in reserve, where they prepared for another large battle on 3 May. In what would turn out to be his last fight, Herbert’s unit commenced their assault about 10:30 pm, and in a replay of previous attacks, came under instant fire from German machine-guns. 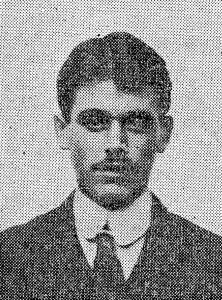 Herbert, tasked with carrying despatches, was killed in action at some point during the early hours of the following morning. In reply to your letter of 27th ult., I deeply regret to inform you that your son, No. 768 Pte. 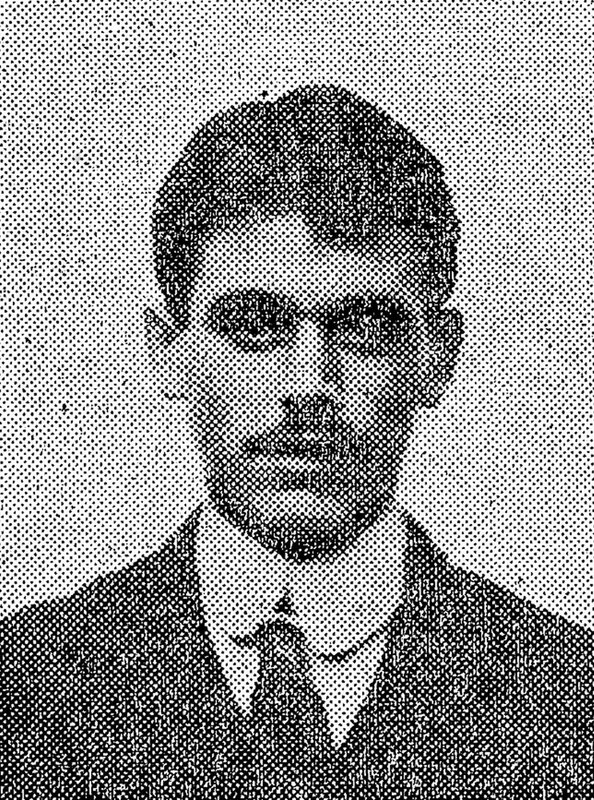 H. Ashdown, of this battalion, was killed in action of 4 May 1917. Your loss is ours also, and the memory of your boy will remain with us always. He was extremely popular with his comrades. There is no man in this battalion who could be more faithful in his duties, or more gallant in action, than your son. Allow me to tender my deepest sympathies to you in the loss of a son whom we knew so well and esteemed so much. Herbert’s body lay where he fell until 1921 when he was exhumed and reburied in the Faubourg D’Amiens Cemetery in Arras. An obituary published in the Kent Messenger on 23 June 1917 also reported that Herbert had been engaged to a young lady (unnamed) who he had planned to marry once he had secured leave.